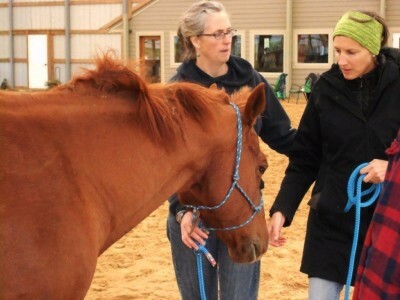 In our ​​"Hoof it to Healing" retreats, you will enjoy your horse in a group setting. With the assistance of our ministry team, you will have the opportunity to witness God's healing power, using your horse as a conduit of His grace. 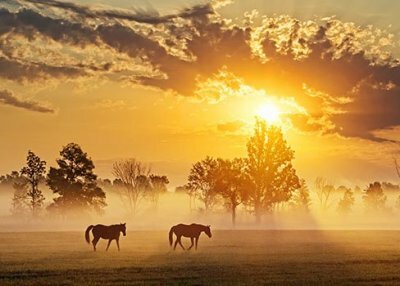 We incorporate horsemanship, an inspiring talk, healing prayer and time for personal reflection in God's beautiful natural world. Don't have a horse! No problem! We have a few horses that are available to work with you. There is more to horses then just learning to ride. Of course, riding is the goal for most of us, but some folks just want to learn how to have a better relationship with their horses. Whether you bring your horse to the Center, or you invite me to your barn, I start with ground work to teach you to "feel" your horse so you can better understand their subtle communication. This leads to a safer ride as well as an all around more pleasurable time with your horse. 9:00a.m. Talk: "How to Effectively Communicate with Your Horse"
Horses can sense things below the level of our awareness through "feel". Learn how you can also achieve this "feel". 1:00 p.m. Talk: Paul Gordee speaks about walking with Jesus. 2:00 p.m. Interactive: "How Thoughts and Intentions Impact my Horse"
Horses are naturally willing to learn, but they seek clarity. 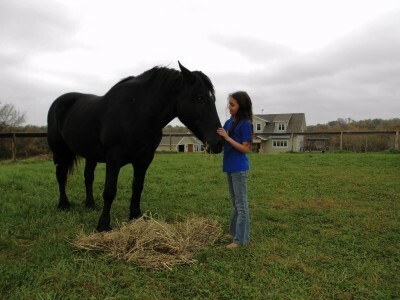 Learn how patterns of thought impact horses and how to empower yourself. Mike Bronson, natural trimmer, will offer you an opportunity to learn how natural trim can benefit the health of your horse so you can confidently hit the trail. He also provides information on how nutrition and movement plays a vital role for the integrity of the hoof.